Unfortunately, that means extra expenses for many people’s budgets this month. Pens, pencils, paper, notebooks, markers, and other supplies do add up when bought all at once. But the spending doesn’t end there. On top of supplies, there are usually school clothes and shoes to get as well. When all is said and done, many parents end up spending hundreds preparing for back to school. Of course, the more children you have, the more money you will spend. 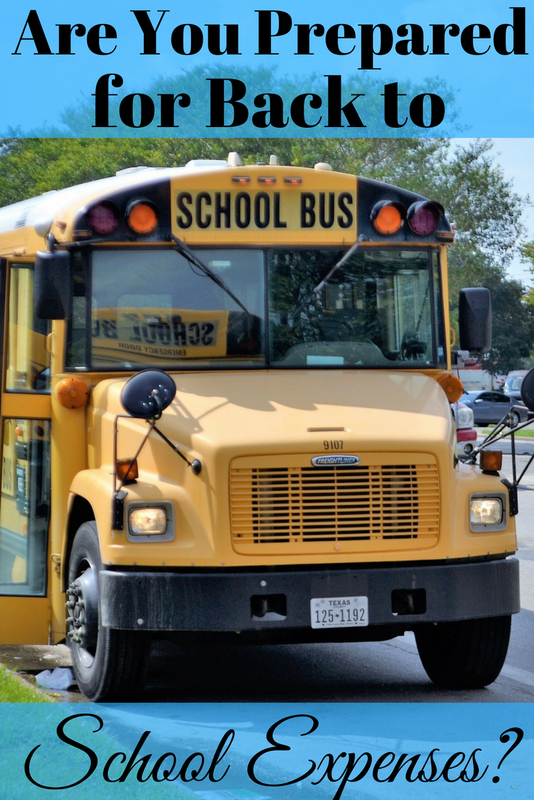 The question is, are you prepared for back to school expenses? Shopping for school supplies and clothes is, in truth, a lot like shopping for food. Before you go blow money on stuff you already have you should take an inventory. If you have a supply list from your children’s school, compare it to what you already have on hand. That way you won’t spend money on things you don’t need to. When it comes to clothing and shoes, you should inventory those items as well. Then you’ll know where to spend your hard earned money. The next thing you need to do to prepare for back to school is create a budget. If you have more than one child, and a limited budget, don’t worry about making the amounts equal. How much you spend on each child should be based on need more than anything else. Your child’s age may also be a factor. For example, the needs of a kindergartener may be far different from that of a high school student. Therefore, the amounts spent on each could be vastly different. If you need cash to supplement your budget, there are lots of ways you can get it. You could try mowing a few lawns, babysitting, or selling stuff online that you no longer use. Just think about your knowledge and skills and how you could use them to make money quickly. Then, use the extra money you make to help you be prepared for back to school expenses. Thrift stores are a great resource when you’re preparing for back to school. Sometimes you can even find items that are brand new with the tags still attached. There are some great online thrift stores if you don’t have any nearby. A few to try are Stitch Fix, Thred Up, and Ebay. Many garage sales have clothing of various sizes for sale. While some items may be worn and stained, not all of them will be. Some will be barely used and cost next to nothing. If you really want to stretch your money try shopping at a few. You may be able to knock a few things off your list for very little money. You’ll be able to stretch a tight budget further when you buy back to school items off the clearance racks. In fact, you should first check the clearance racks before shopping anywhere else in the store. The same holds true for shopping online. There’s usually a sale or clearance section you can check before looking at other categories. Not all supplies and clothing have to be name brand. You can find plenty of great choices when you shop at discount stores like Walmart and Target. Furthermore, you’ll find the prices are better than some of the pricier clothing stores at the mall or online. To help your budget take the smallest hit possible, use coupons and coupon codes for back to school stuff. Watch for them in flyers and ads in newspapers, in the mail, online, and in stores. If you’ve signed up for text alerts from your favorite stores you may get savings codes there as well. Some can be printed but others may need to be shown when you’re in a store paying at the register. Be prepared when you get to the cashier by pulling up your coupon codes ahead of time. Obviously you can also save by buying school supplies and clothes when they are on sale. That will help you save as much as possible – especially when you combine sales with coupons and coupon codes. Another way you can be prepared for back to school expenses is by signing up for store loyalty programs. Some will provide discount codes just for signing up. If you were planning to buy there anyway, why not save while doing it? At times, different stores will carry the exact same items. However, the prices could vary greatly. Before you buy the first thing you see, do some price comparisons. That will help you save the most on back to school expenses. Clearly buying back to school supplies and clothes will cost some money. But it you haven’t saved up for it, use these tips to help you be prepared and spend less. 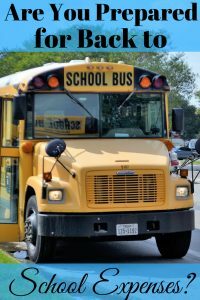 How do you save for back to school expenses? The pretty segment of substance. I just discovered your site and in increasing funding to the state that I get really appreciated record your blog entries. At any rate, I’ll be buying into your increase and even I accomplishment you get to reliably quickly. Now I’m prepared for school expenses. Thanks for such a nice post.